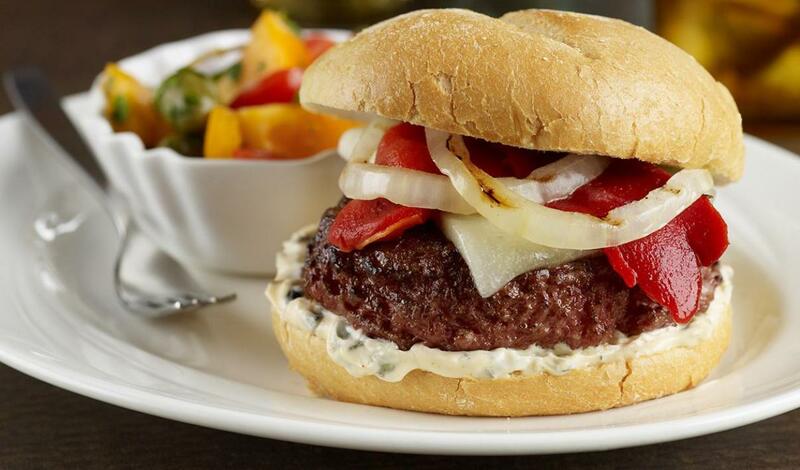 Juicy ground beef patties are complemented with melted cheese, red pepper and olive mayonnaise. Grill or broil ground beef patties until desired doneness and top with cheese. Thickly slice the onion and grill until slightly charred. Spread bun evenly with prepared Olive Mayonnaise and build burger.